Best Lawyers has chosen Attorney Neil T. O’Donnell, owner and founder at O’Donnell Law Offices, “Lawyer of the Year” for Personal Injury Litigation—Plaintiffs in Allentown. Best Lawyers has chosen Attorney Neil T. O’Donnell, owner and founder at O’Donnell Law Offices, “Lawyer of the Year” for Personal Injury Litigation—Plaintiffs in Allentown. 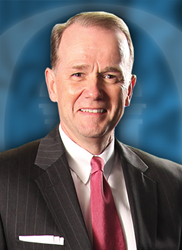 Attorney O’Donnell has been recognized by Best Lawyers for the last 5 years. Recognition by Best Lawyers is based entirely on peer review. Its methodology is designed to capture, as accurately as possible, the consensus opinion of leading lawyers about the professional abilities of their colleagues within the same geographical area and legal practice area. Additional recognitions are also awarded to individual attorneys with the highest overall peer-feedback for a specific practice area and geographic region. Only one attorney is recognized as the "Lawyer of the Year" for each specialty and location. For more information, please visit http://www.bestlawyers.com. A frequent contributor to legal education programs, Attorney O’Donnell has held leadership positions in both regional and state legal communities, including the Pennsylvania Association for Justice, the Pennsylvania Bar Association and the Pennsylvania Bar Institute. O’Donnell has been recognized as a Top 100 Pennsylvania Super Lawyer from 2007-2017. He has also been selected by his peers for inclusion in The Best Lawyer in America 2012-2017 and, from 2002-2017 he has received the Martindale-Hubbell AV Preeminent Rating. Neil was inducted into the Melvin Belli Society, named after Melvin M. Belli, America’s most famous trial lawyer.